For years, Arabs have been fabricating history with a national claim called Palestine. Only the radicals in Israel have continued to point out that the Palestine claim is a sham and as a result, we have been called everything from racist to Islamophobe. People have said that we are denying reality and it's time to admit the existence of an Arab Palestine entity that existed in the area for hundreds of years before Israel "occupied" it from them. Ok, people, sit back and enjoy this facepalm move from no other than the leader of the "Palestinian" people, Abu Mazen, better known as Abbas. Mr. Abbas wanted to show off the rich and long history of his "Palestinian" people to the Saudi King, whose name is ironically Salman. When we Jews want to show off our religious, historical and national ties to the land of Israel, we show coins from two thousand years ago or pottery and stone with Hebrew writings on it or archaeology that is witness to the Jewish rule in the Land of Israel that existed before ... well, before Islam did. Abbas could not find ancient coins to flash the existence of a nation that, well, did not actually exist, so what did he do? He brought a piece of "Palestinian" history that would prove Palestine was real and they did have a culture, a history and even a national newspaper. 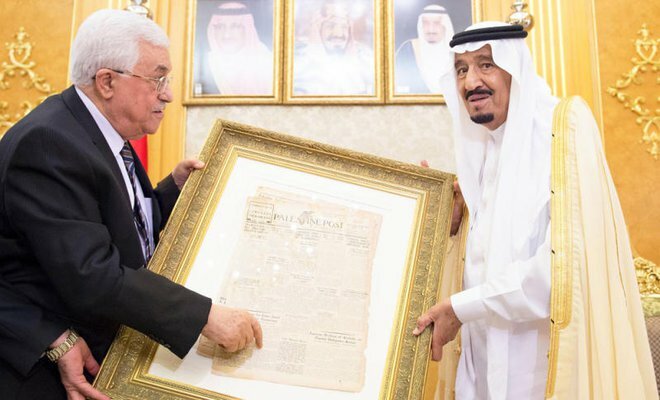 Abu Mazen, the government leader of the Palestinian people, presented King Salman of Saudi Arabia with the front page of the Palestine Post from 1932! 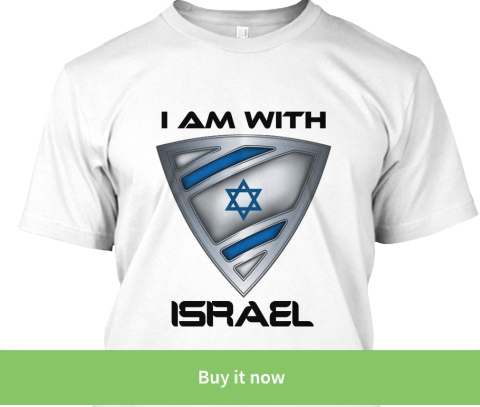 What are all the Zionist Hasbara trolls to do with this?! 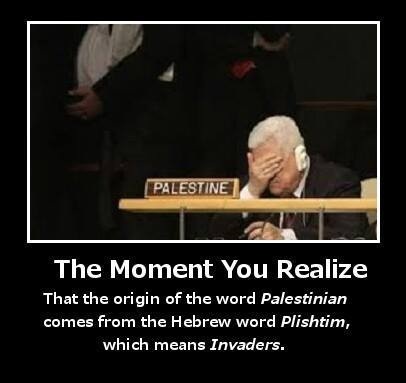 Did Abbas just prove there was an Arab Palestine before Israel? Calm yourselves people, do you see the expression on the King's face? There is a reason he is looking so uneasy. He is probably embarrassed with the utter stupidity of Abbas! 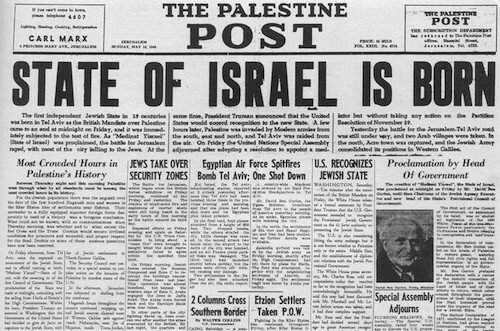 See the Palestine Post was a JEWISH ZIONIST newspaper that was printed for the English speaking population in British Palestine. Check out this headline from the Palestine Post! Unless Abbas is going to claim they were very happy about the State of Israel being born, he just carried out the facepalm move of the century and from the looks of it, King Salman knows it. 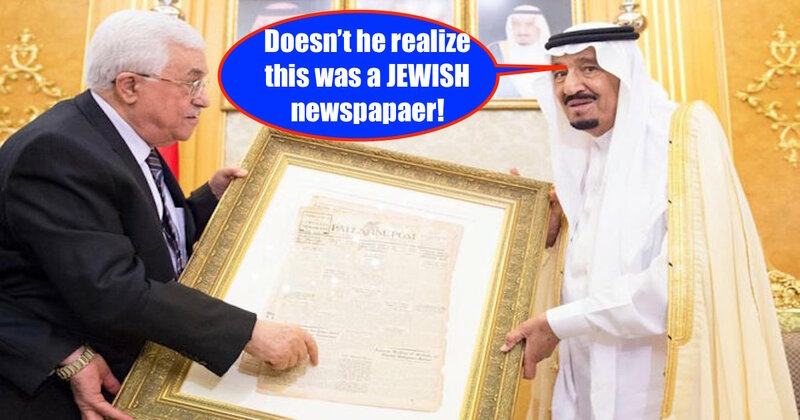 I am guessing the only reason the King is not facepalming himself is because he has his hands are on one of the best proofs that Palestine was more Jewish than it was ever Arab! The kicker in this story is the fact that the once Palestine Post is now known as the Jerusalem Post and when the editor of the Jerusalem Post got hold of this story, he could not help but tweet this out. PERFECT! You think Jerusalem Post will give Abbas a complimentary membership? They could not have asked for better PR! This is not the only artifact that proves the entire Arab Palestine claim as false. Click Here for 5 more Palestinian artifacts that show there simply was no Arab Palestine anything before the State of Israel. Also, check out Israellycool who was one of the first to break this unbelievable ridiculous fail by Abbas. He is also the account to follow if you enjoy exposing the lies spread by anti-Israel trolls. 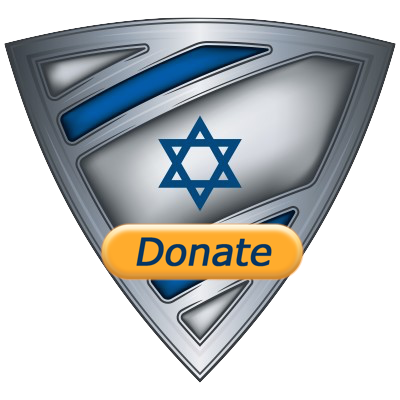 Help me continue to expose and destroy the anti-Israel propaganda being spread online. Join my fight and make a contribution.